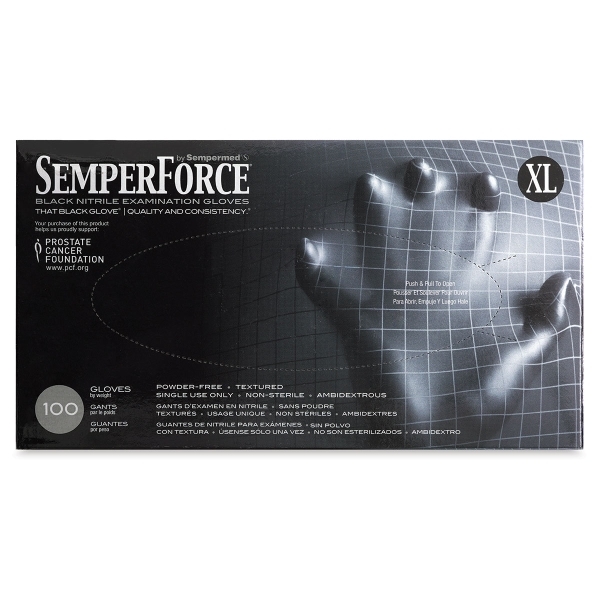 SemperForce Black Nitrile Gloves are designed for demanding work environments where safety and comfort are a must. These disposable, powder-free gloves are textured for enhanced dexterity and gripping capabilities. They're made without natural rubber, eliminating your exposure to latex. ® Sempermed is a registered trademark.® SemperForce is a registered trademark.